xxjeremiahxx has no other items for sale. 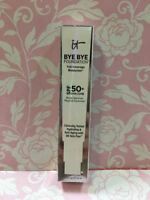 Too Faced HangoveR Face Primer Replenishing NIB 100% Quality! 40 ml1.35 fl.oz. Fast Shipping! Item as Described! Great Seller! Thanks! As described. Item shipped fast. Works Perfectly. Thank you..
Super fast shipping! Love thed item..Thanks!